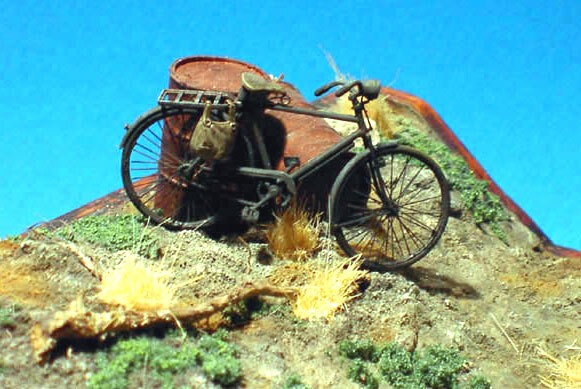 This diorama, Unterstand fur Feldkuche, was inspired by some drawings found in the book, "Feldbefestigungen des Deutschen Heeres (1939-1945)", by Wolfang Fleischer. 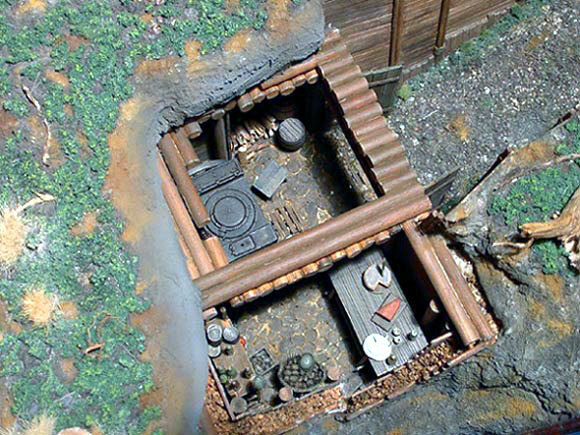 It depicts the structure of a small fortification used for the german field kitchens during the Second World War. The setting is somewhere on the Eastern Front. This being a somewhat stable arena - fortifications of this type were built some months before. 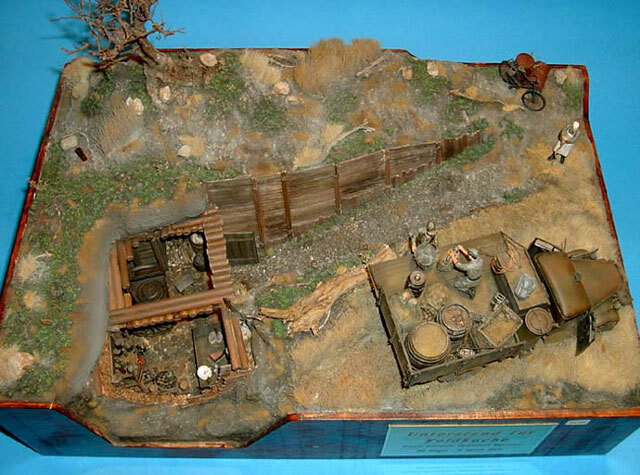 The time period depicted in the diorama is 22nd June, 1944. This was when "Operation Bagration" began. 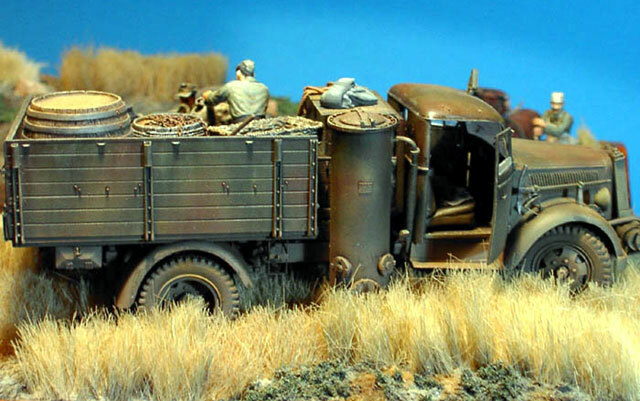 The Opel Blitz (with an Imbert generator) belongs to the bakery company of the 18th Panzergrenadier Division. 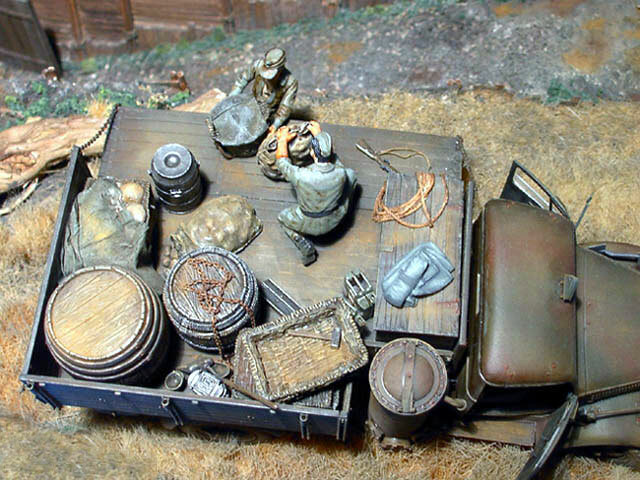 Figures from Tamiya and Verlinden.